Becoming a better presenter requires practice. 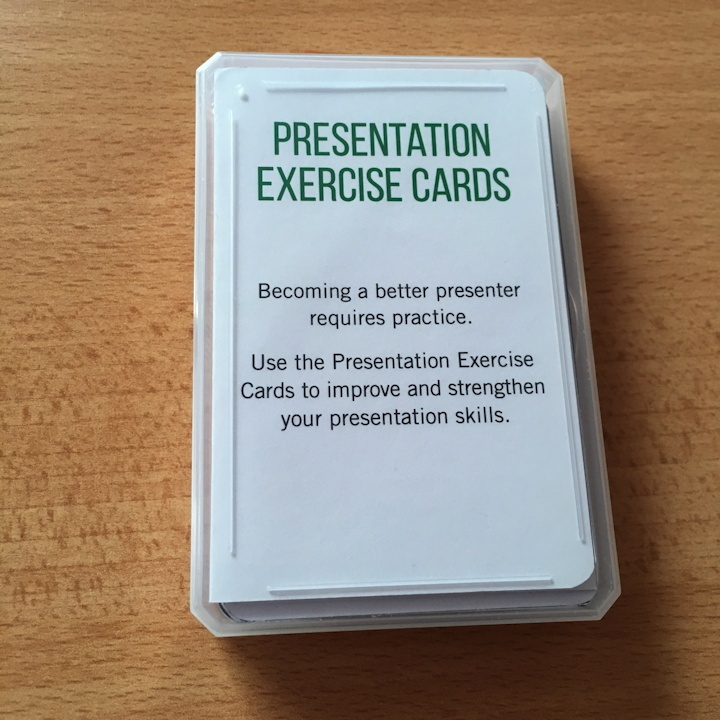 Use the Presentation Exercise Cards to improve and strengthen your presentation skills. The Presentation Exercise Cards introduce a random element in a training situation, whether it's for self-study or when coaching someone. By setting constraints, they challenge you to look at your presentation from a different perspective and make it more interesting and entertaining. To receive news and updates about the Presentation Exercise Cards, please subscribe to the low-volume newsletter below. Your email address will not be used for any other purpose and will never be shared with third parties.